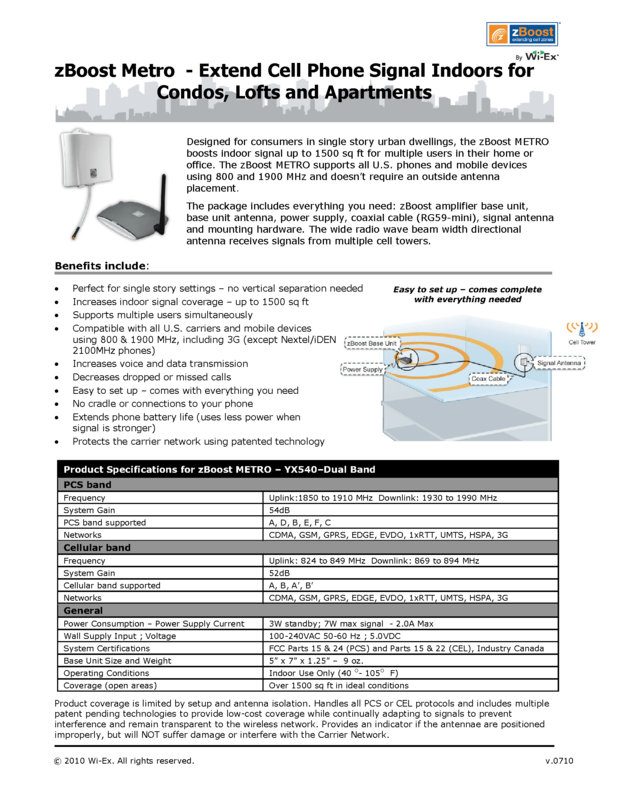 We have a cell phone booster that will amplify a signal and rebroadcast the signal at a safe level for cell and cellular internet for condominium or apartments. office. The zBoost METRO supports all U.S. phones and mobile devices using 800 and 1900 MHz and doesn't require an outside antenna placement. antenna receives signals from multiple cell towers. Base Unit Size and Weight 5" x 7" x 1.25" – 9 oz. Add your applicable taxes and I will confirm your order.